As a Hartzell Recommended Service Facility, Texas Aircraft Propeller & Accessories has heavily invested in tooling, equipment and training. In addition, the company is audited on a periodic basis by Hartzell. 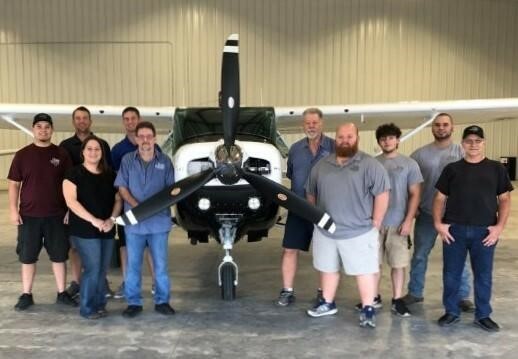 Hartzell Propeller encourages customers to use a Hartzell Recommended Service Facility for propeller repairs and overhauls. As a member of the network, Texas Aircraft Propeller & Accessories joins a network of Hartzell Recommended Service Facilities located throughout the Americas, Europe, the Middle East, Asia, Australia, and New Zealand. This group of repair stations, with factory trained technicians and appropriate equipment, ensures that owners and operators of Hartzell propellers are only a short flight or drive away from a recommended service facility. Beginning its second century, Hartzell Propeller is the global leader in advanced technology aircraft propeller design and manufacturing for business, commercial and government customers. The company designs next generation propellers with innovative “blended airfoil” technology and manufactures them with revolutionary machining centers, robotics and custom resin transfer molding curing stations. Hartzell Propeller and its sister company, Hartzell Engine Technologies LLC, form the general aviation business unit of Tailwind Technologies Inc. For more info on Hartzell Propeller, go to www.hartzellprop.com.